We would like to give you the freedom to relax and unwind in privacy. 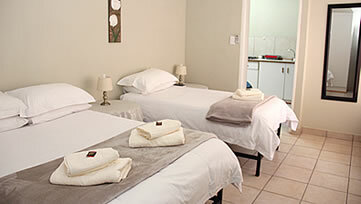 De Nachtuilen Guesthouse is situated in the tourist corridor of Upington, the river city of the Green Kalahari. Here you are surrounded by the artistic side of town with Coffee Shops and Art Galleries, then not far away you can experience the freshness of nature with the mighty Orange River and enjoy our local wine routes. 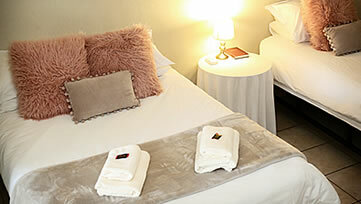 Therefore we present to you, 10 self-catering units. 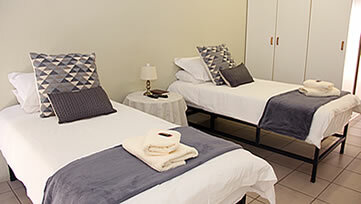 Each unit is carefully prepared and furnished for your basic needs. Braai facilities and a swimming pool is available where you can enjoy the magical sunsets of the Green Kalahari as the soothing night air surrounds you.